Well, I spent more than an hour on that detail on top, using the boolean modifier… over and over again just getting the most ugly mesh errors. I remembered reading about a free software called Meshmixer that puts mesh parts together nicely and thought I could glue that top part onto the bin with it.. but went to their website and couldn’t download the application. So I gave up and just had the two things juxtaposed and finally got an ok result, though there is no nice blend between the two parts. 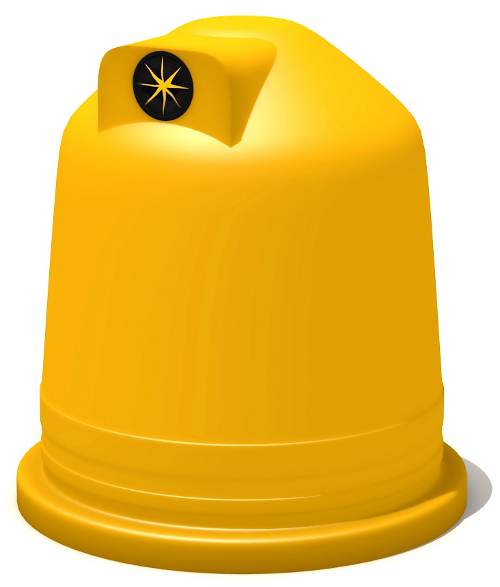 But that detail improved a bit when I used subsurface scattering for the material. 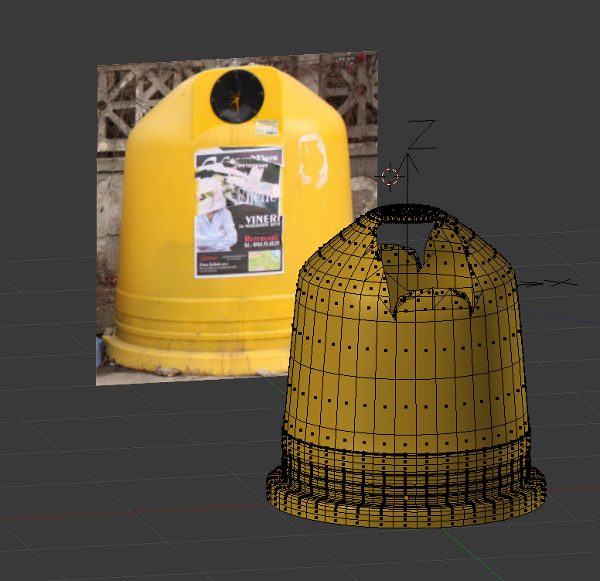 It’s the first time I try this, and as I don’t render human models (or aliens), what better pretext than a big plastic bin? 🙂 I had a small problem, shadows seem to disappear on the sss material so I randomly decreased some settings I know nothing about and I got a decreased sss effect and some shadow.